Today only, buy 15 mL DigestZen® (31030001) get 15 mL Slim and Sassy® (31370001) FREE! In the midst of daily activities and responsibilities it’s easy to let feelings of worry and stress creep in. According to Dr. Hill “stress induces physiologic changes that cause a natural resistance to weight loss and can reduce immune capability.” In an attempt to counter stress and its effects, essential oils are a great resource to soothe, calm and de-stress. 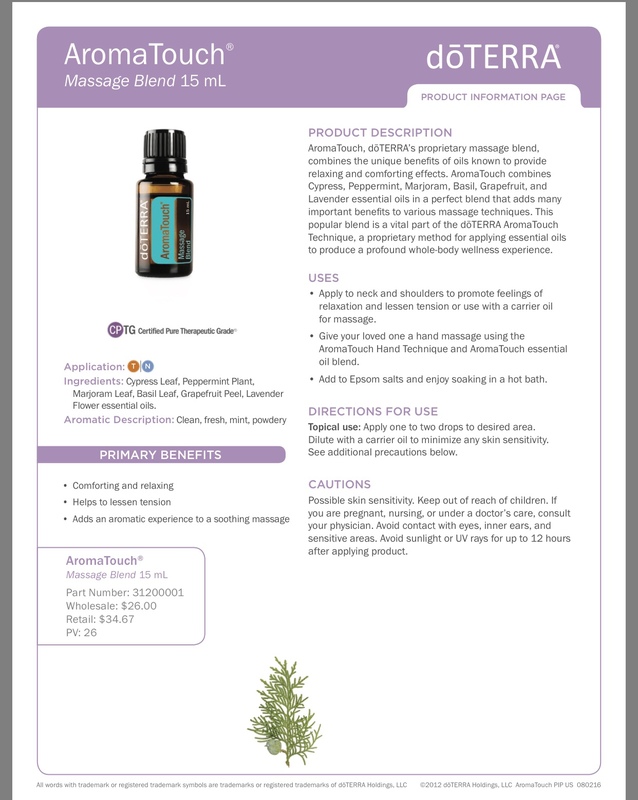 Specifically, the AromaTouch® essential oil blend and Marjoram essential oil are just two examples of these calming oils that can help. 1 Use AromaTouch in the AromaTouch technique or the AromaTouch Hand Technique. Combined with seven other oils, you can perform the technique for your loved ones and promote peace and wellness in their lives. Learn how to perform the technique here. 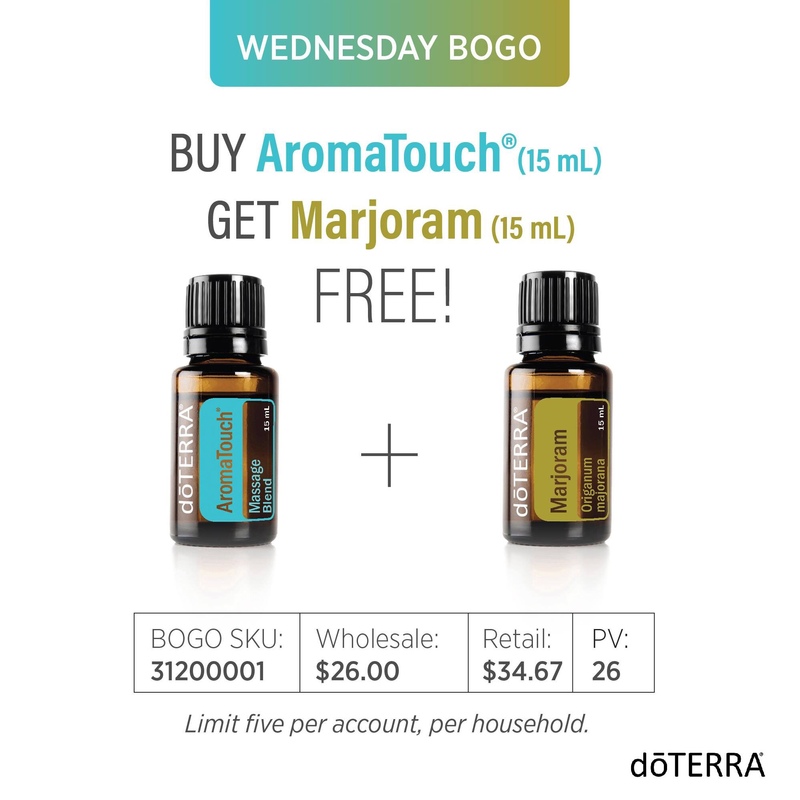 2 Enjoy a luxurious bath with the AromaTouch essential oil blend! 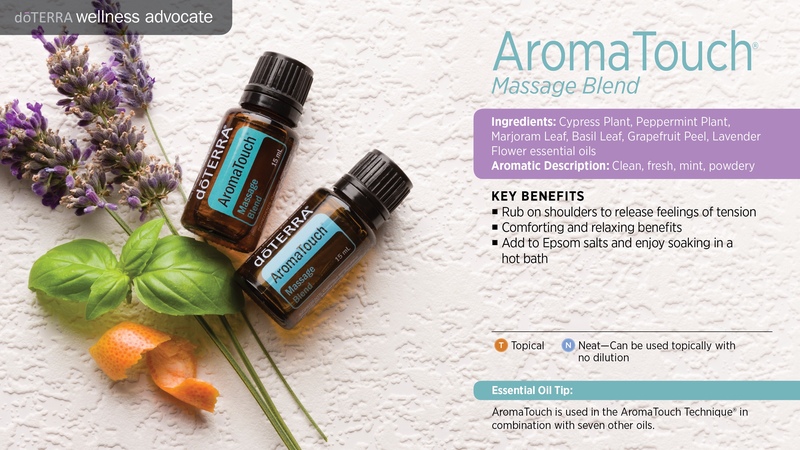 Simply fill up your bathtub with water of your desired temperature and then add a couple drops of the AromaTouch essential oil blend and Epsom salts to the water, and then relax. 3 If you’ve ever been to a spa, you know that a spa’s environment is one of peace and relaxation. If you’re looking for a quick way to bring that tranquil spa environment into your home, add AromaTouch oil to your diffuser, and diffuse. 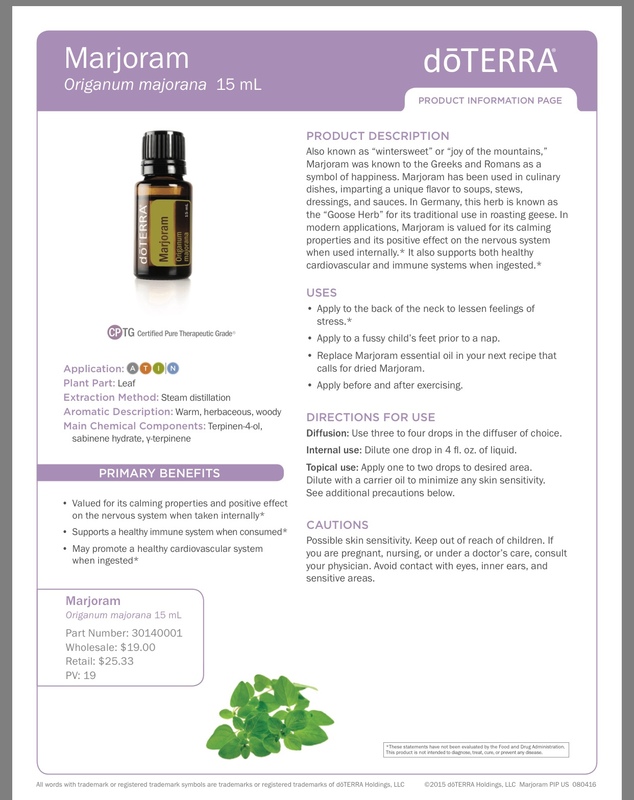 1 To help support your immune system with Marjoram oil, dilute one drop of Marjoram into four fluid ounces of liquid and drink. You can also put Marjoram oil into a Veggie Capsule and swallow with a full glass of water. 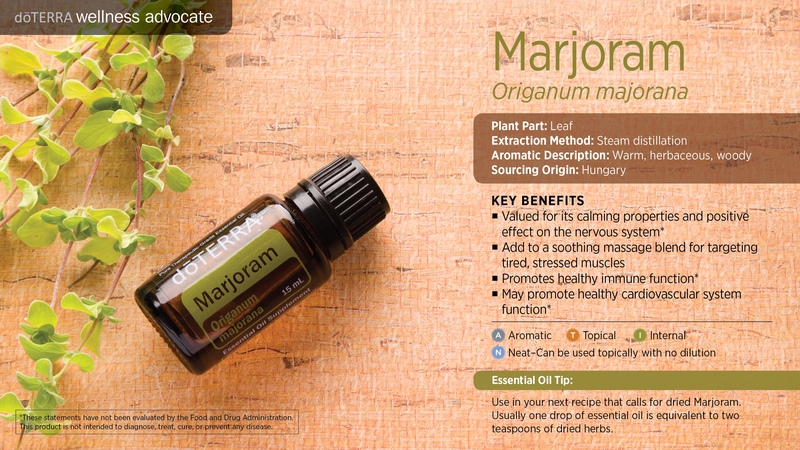 2 To help ease any tension and stress you may feel, apply Marjoram on the back of the neck to feel it’s relaxing properties. 3 Get a good night’s sleep by rubbing a few drops of Marjoram on your feet or the feet of your child to help them fall asleep.